Challenging toys and ingenious gifts. 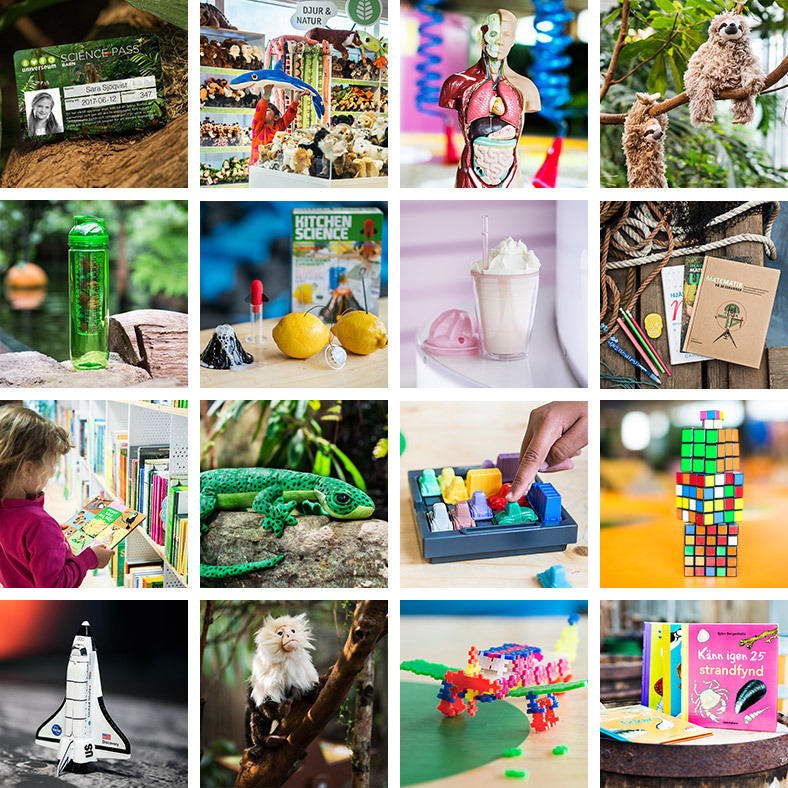 The Universeum shop offers gadgets that you won’t find anywhere else. “Knowledge through play” is the concept that permeates the products sold in our shop. Here you will find a selection of educational and interesting items for both children and adults. Our book department has a wide range of books with a focus on natural science and experiments. Games and mathematical puzzles sit alongside physics and chemistry kits. Many of the soft toys are endangered species that you may recognise from our Rainforest zone and Aquarium. By shopping here, you are supporting WWF, Save the Orangutan and PLAN International, among others. Proceeds from the shop are used to develop our own exhibitions. Naturally you can visit the shop without purchasing an entry ticket. Just like the rest of Universeum, we are open daily all year round. Welcome.